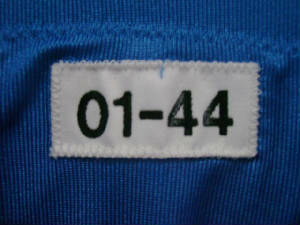 Tagged 2001, worn in 2002. 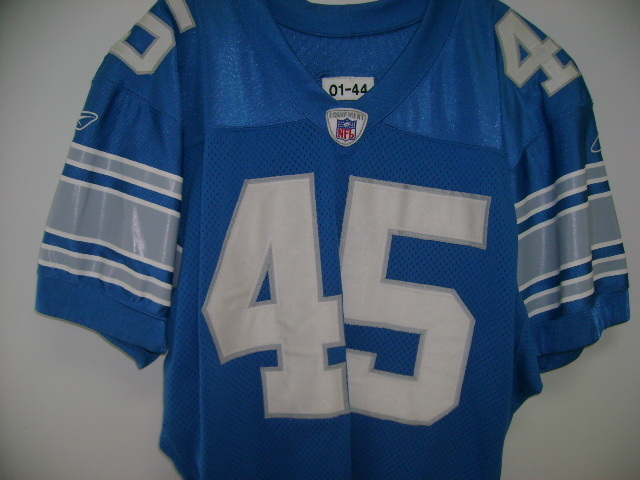 The only NFL jersey I have with a player's first and last names. 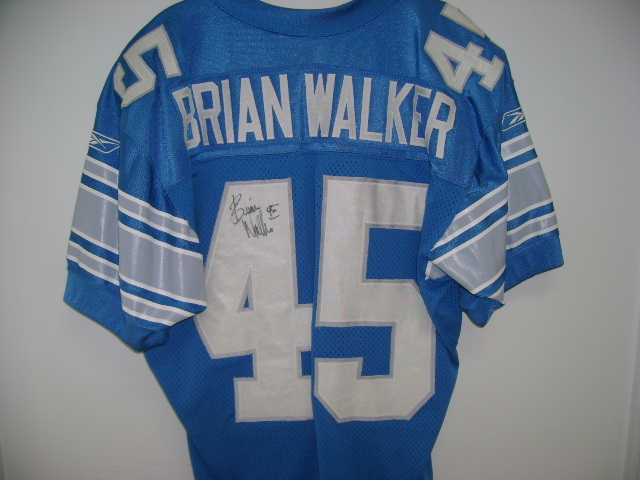 Bracy Walker was also on the Lions roster that season. 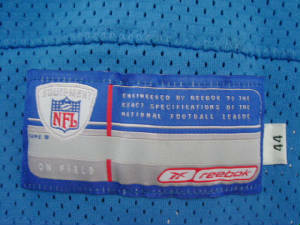 The League dropped the requirements for first initials, first names, etc., prior to the 2007 season.